Girl of the moment Jessica Hart scored the cover of Foam’s May/June 2013 issue, but it’s this psychedelic spread starring the equally in-demand Bambi Northward-Blyth that we can’t avert our eyes from. Snapped by American photographer Dove Shore, Bambi hits a series of angular poses in outfits playing equal tribute to geometry. Having the best eyebrows in the business doesn’t impair the visual impact either. 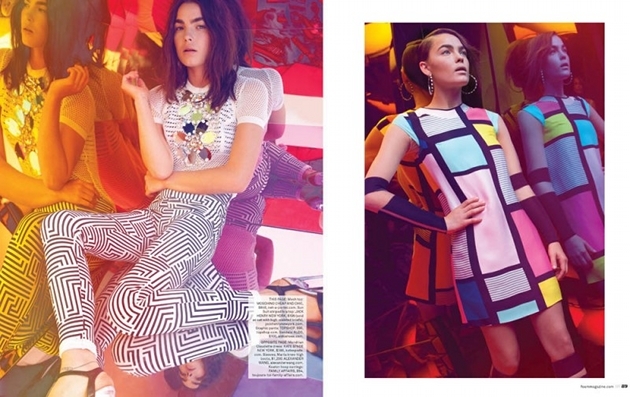 The spread features pieces from the Spring 2013 collections of Longchamp Paris, Stella McCartney and Moschino Cheap and Chic, styled impeccably by SoCal’s Gena Tuso. Apparently the print-mixing trend is going into graphic overdrive this season, so bad news if you were still getting comfortable mixing florals. 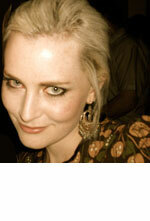 Hannah Ongley, is a freelance writer and editor living in Sydney. As theFashionSpot’s Australian contributor, she sources fashion news and model gossip from down under and writes about it for a global audience. Hannah has been writing professionally since 2009, and has since penned stories on everything from fashion to underground techno music for a myriad of publications based in Sydney and further abroad.